This post was published 8 years 1 month 24 days ago which may make its content inapplicable to the current Islanders roster and/or team news. This site is not responsible for any misunderstanding. I’ve not updated my blog in quite a bit – but TSN has unfortunately changed their app this year. Not really sure if we’ll receive those push notifications. I guess time will tell. At least you can still download it using the methods outlined in this post. Thanks to those coming in again through various search engines and Hockey message boards! I can confirm that this is still working, as many of you all have on HFBoards. As far as the stream, I can’t seem to get it to work no matter what I try just yet. Still digging. Thanks to those coming in! I’ve read about some of your issues with the app, and have another solution you can also try in this post! Sometimes, being outside of Hockey’s Hotbed (also known as Canada), can be sort of a bad experience for those of us in the US. This experience is only compounded further when our brothers and sisters up in Canada get all sorts of cool applications to follow the NHL’s Trade Deadline (which let’s face facts – is a Hockey HOLIDAY for most), while those of us here rely on our slower forms of notification. Unfortunately, the TSN Tradecenter application is only available in Canada – likely for distribution limits. Last year, I was able to download the Tradecentre app on my Jailbroken iPhone – but this year I was determined to find a way to download the application without having to modify my phone, and I also wanted it on my iPad as well. The solution was quite simple actually; a CANADIAN iTunes account. Make sure you are signed out of your account on iTunes. Go to the bottom of iTunes and choose “change country” from the “Manage” tab. For Billing Address, you must choose a correct postal code that matches with the province of that country (I picked Oakville, Ontario here). Go on Google to search for an address with the appropriate postal code (I made up a very inconceivable address for this). After email verification, you are done. Log into the iTunes app store from your iPhone or iPad and download the TSN Tradecenter app. There is however, ONE stipulation for downloading apps of this nature, they have to be FREE. If you want to purchase an app or music from the Canadian iTunes store – you’d need to use a gift card. – Starting at 8am ET (5am PT) you can watch TSN’s live HDTV coverage of TradeCentre right on your device. Now anyone with an iPhone or iPad (or even iPod Touch) can follow TSN’s Trade coverage all day long, anywhere they have Cellular and/or WiFi. BONUS! Get the FAN 590 too! So, maybe you want a Canada only app to listen to Hockey Talk beyond the trade deadline? Well – as they say, there is an app for that. You can also download the Rogers Radio app so you can stream Toronto’s FAN 590 sports talk show. Now you can hear THE FAN 590 and your choice of Canada’s most popular radio stations – anywhere, anytime! If you’re a Rogers Wireless or Fido iPhone customer, you can listen to THE FAN 590 and also discover new stations with the Rogers Radio iPhone App. Choose from over 50 station streams featuring rock, country, top 40, news/talk, sports and multi-lingual formats. Listen to top-rated stations across the country, including 680News, KiSS FM, 98.1 CHFI, and SONiC 102.9. This app gives you AAC+ audio quality, and allows you to search by station name or by the city – or just search for the station that’s closest to you. It also gives you song and artist info, and even tells you how to contact the stations. What a great idea! Wished I thought of that for earlier deadlines, but I’m glad I can get it on my phone for the upcoming trade deadline. 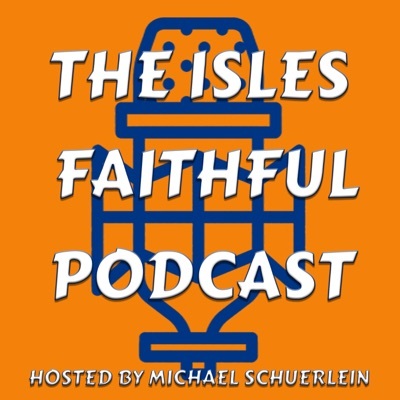 Thanks, Islesblogger! I wanted to spread the word with plenty of time for everyone who wants it to set it up! There is no option for “none” under payment option. There was when I made my account, are you sure you picked Canada? I live in US and am trying to get the app , is this still possible to do? It’s easy to create a Canadian account using any address. Just make sure you select none (at very bottom I think) for payment type. Are you creating an account ON the iOS device or on the computer? I did it on the computer.